5 star mobile bathroom and toilet business. Can be run from a home office with 1 person doing delivery. Transferrable to any loaction with good profitability . High End clients in the wedding and event business . 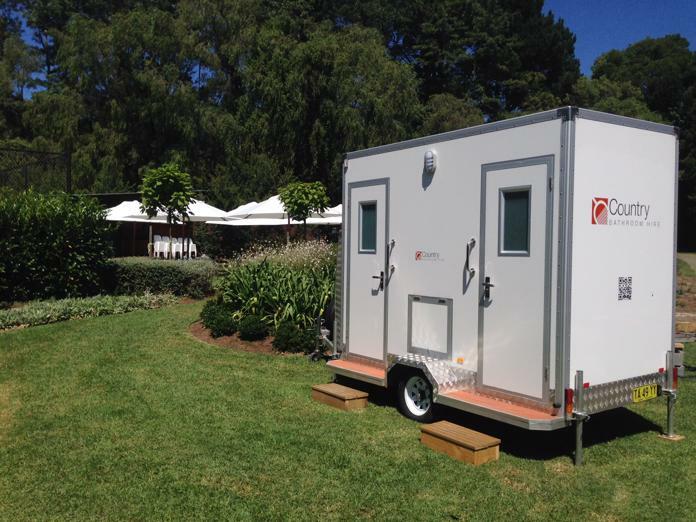 5 x mobile bathrooms for hire in wedding, event industry and glamp camping.Also available for the renovation and home improvement industry. Business is easy to run on minimum staff and minimal training required to start. Currently servicing the South Coast ,Southern highlands and South Eastern nsw .Transferrable to any loaction. Easy to run - phone email enquires. Delivery and set up of bathrooms. Towing on standard 4wd or Suv. Hire of mobile bathrooms units for weekend or week hire,set up and collection of units. Unique 5 star product . Trading for 3.5 years.All the hard work is done.Ready for someone to walk in as is or potential to expand.